JDT Media GRP artist and founder, JU$TIN is back dropping jewels about lavish shopping trips in the U.A.E. 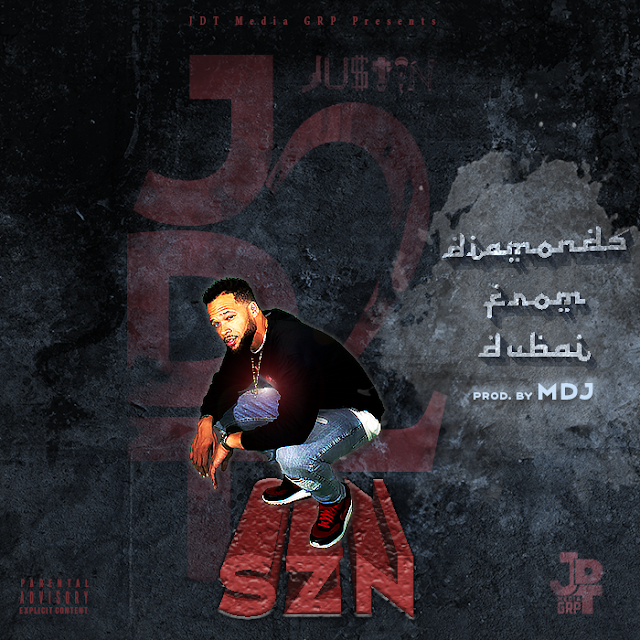 on his new MDJ produced banger "Diamonds from Dubai." The second single from his latest indie project, "JDT SZN 2," that is out now on all major streaming platforms. Check out "Diamonds from Dubai" by JU$TIN and be on the look out for the Bronx, NY native's next project "JDT SZN 3" to be released before the year ends.